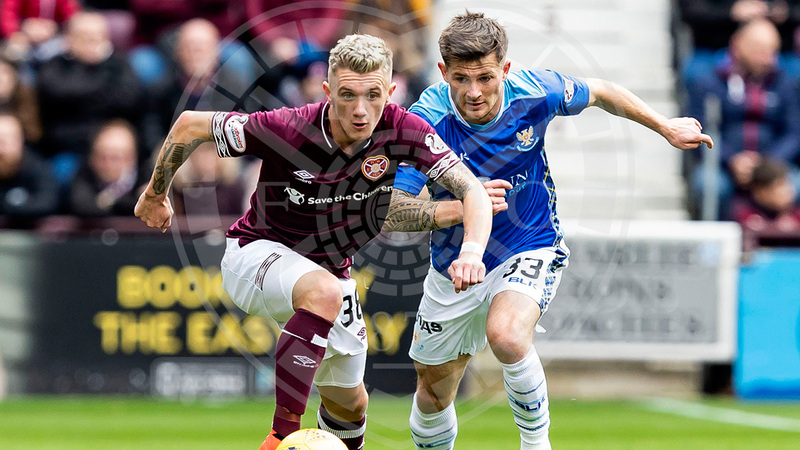 Headers from Peter Haring and Jimmy Dunne earned victory for the league leaders and, although Ross Callachan’s goal reduced the deficit, saw the Jambos make it six wins from seven so far in the Ladbrokes Premiership. Craig Levein kept faith with the XI that successfully saw off Motherwell on Wednesday evening to earn a place in the Betfred Cup semi-finals, with the cup-tied Craig Wighton returning to the bench after missing out in midweek. 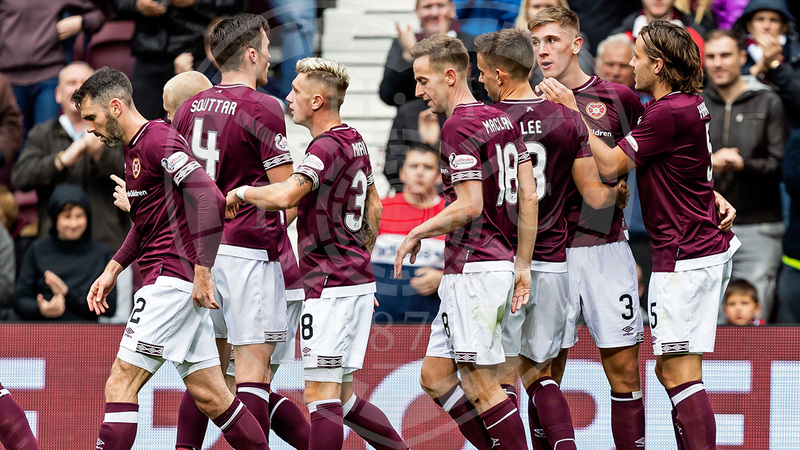 The Jambos went into the game top of the league with a lead of five points over nearest challengers Rangers, Livingston and Hibs after six matches, and eight points ahead of the day’s opponents, St Johnstone. 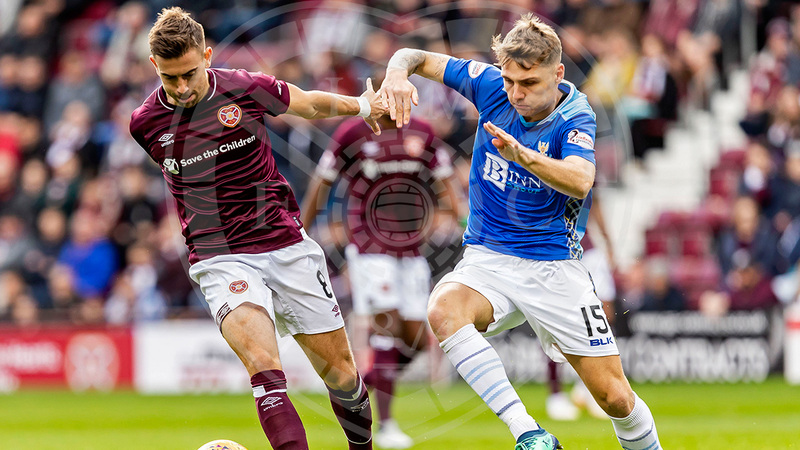 Hearts started on the front foot, and Michael Smith tested Zander Clark inside the first two minutes when he won the ball with a sliding challenge 30 yards from goal, before letting fly from distance and his shot was pushed away for a corner. The visitors responded shortly after when a very dangerous cross from Matty Kennedy was deflected goal-wards by John Souttar, but Bobby Zlamal responded sharply to move the ball away to safety. Smith came close again when he played a lovely one-two with Steven MacLean - playing against his former side - but his lack of striking prowess showed when he hit the ball into the side netting. Hearts were enjoying a lot of pressure without much to show for it until the 23rd minute, when a corner from Olly Lee was headed into the air, and Peter Haring nodded the ball home very precisely into the top corner to give the home side a deserved lead. Hearts were hungry for more now, and Demi Mitchell went marauding down the left on a trademark run. He slid the ball inside to Lee, who moved it into the box for Callumn Morrison, but the youngster snatched at the chance for his first senior goal and the ball went wide. Mitchell was next to test Clark when the ball broke to him at the edge of the area, but the Manchester United loanee’s stinging drive was superbly tipped over the bar just prior to the half-time whistle. After the break, Hearts continued in the same vein. The impressive Morrison curled a shot just over the bar from 20 yards, before two goal-bound Lee efforts were deflected for corners, which came to nothing. On the hour mark, Steven Naismith was next to test Clark from outside the area, as his powerful low effort drew a save that was parried out into the box, but MacLean could only blaze the ball over the bar with the goal gaping. However, the crucial second goal did arrive shortly after. Another Lee delivery was met with another powerful headed effort, this time from Jimmy Dunne whose effort flew into the back of the net to grab his first strike for the club. St Johnstone almost responded immediately when substitute Tony Watt broke into the area, but his shot trickled just past the post. Then, at the other end, a Smith cutback was met by Naismith but the club’s top scorer fired over the bar from 12 yards. 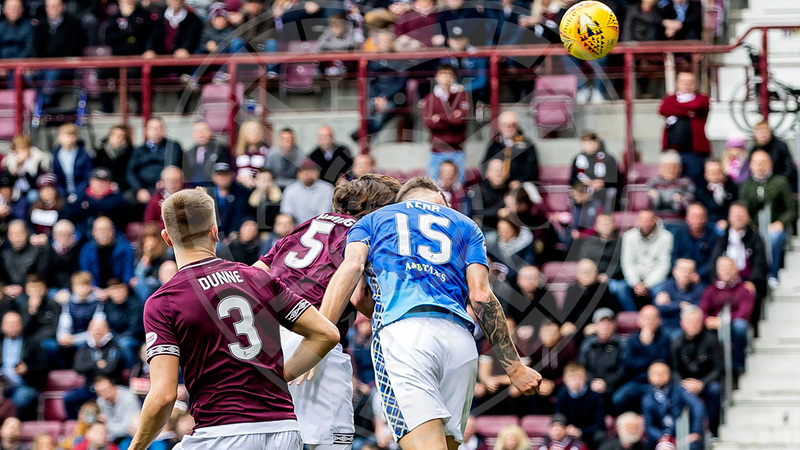 The visitors were given a lifeline when a cross from Drey Wright on the right wing somehow found Ross Callachan in the area, and the former Hearts midfielder passed the ball into the corner of the net. 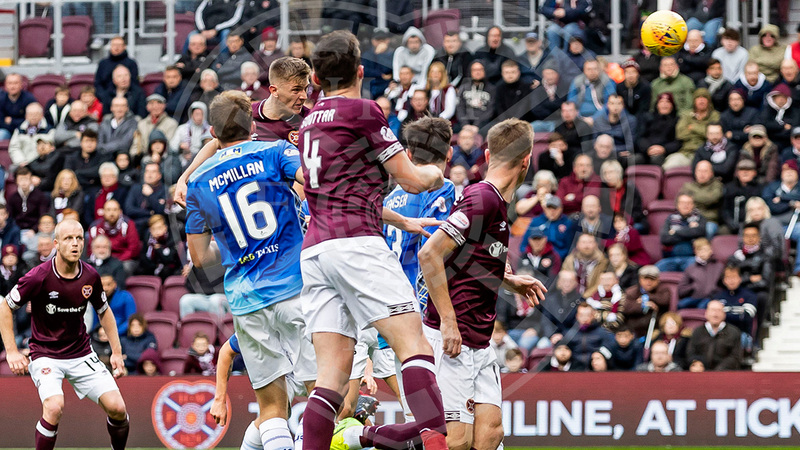 Craig Levein introduced three substitutes in a bid to keep the side’s energy levels high in the last ten minutes, and committed efforts from Clevid Dikamona, Ollie Bozanic and Danny Amankwaa ensured the Jambos held firm to keep their five point lead at the top. Hearts: Zlamal, Smith (Dikamona, 84'), Dunne, Souttar, Haring, Lee, Djoum, Mitchell, Naismith, MacLean (Amankwaa, 87'), Morrison (Bozanic, 79'). Subs: Doyle, Wighton, Garuccio, McDonald. St Johnstone: Clark, Tanser, Alston (Craig, 84'(, Shaughnessy, Wright, Kane, Kerr, McMillan (Watt, 66'), Foster, Callachan, Kennedy (Swanson, 57'). Subs: Hurst, Anderson, Wotherspoon,Nydam.